when I am glowing with the enthusiasm of success, there will be none to participate my joy; if I am assailed by disappointment, no one will endeavour to sustain me in dejection. I shall commit my thoughts to paper, it is true; but that is a poor medium for the communication of feeling. In the article, Badalamenti cites Shelley's estranged relationship with her parents as a possible driving force for the novel's creation. Shelley's birth-mother died soon following her delivery. Her father later remarried to Mary Jane Clairmont who, "showed little regard for young Mary’s gifts or for the breadth of her interests" Furthermore, Badalamenti says, "Mary saw her stepmother as distancing her father from her and as coming between them." This distance ultimately left a thin hope for connection through the craft that Shelley and her biological parents shared: writing. In Badalamenti's words, "Mary Shelley was deeply attached to her parents’ works, the one deepening her tie to her father and the other among her few means of knowing her natural mother." Considering Shelley's experiences, Walton's thoughts could demonstrate how, despite trying to close the gap between her creators through common interests, her parents' emotional and physical absence made it impossible to reach them. In that sense, Walton's angst would be an expression of Shelley's as well: lamenting the inability to share success or grief with another. Gómez, Claudia Rozas. Strangers and orphans: Knowledge and mutuality in Mary Shelley's Frankenstein. Educational philosophy and theory 45.4 2013: 360-370. Blackwell Publishing. 09 Dec 2016. Brown, Marshall. "Frankenstein: A Child's Tale." Novel: A Forum On Fiction 36.2 (2003): 145-175. Academic Search Premier. Web. 9 Dec. 2016. Davies, Hugh. "Can Mary Shelley's Frankenstein be Read as an Early Research Ethics Text?" Medical Humanities, vol. 30, no. 1, 2004., pp. 32-35doi:10.1136/jmh.2003.000153. devoted my nights to the study of mathematics, the theory of medicine, and those branches of physical science from which a naval adventurer might derive the greatest practical advantage. In the article, Dvies uses this passage as a counter-argument against assertions that Frankenstein is solely a cautionary tale. In Walton's words, he provides an example of how scientific research can be intended for positive outcomes. Davies's intention with this claim is to demonstrate that Shelley viewed scientific discovery is from a dual perspective and did not set out to solely condemn or praise to pursuit of knowledge, but to emphasize the need for moderation. You, who call Frankenstein your friend, seem to have a knowledge of my crimes and his misfortunes. But in the detail which he gave you of them he could not sum up the hours and months of misery which I endured wasting in impotent passions. For while I destroyed his hopes, I did not satisfy my own desires. They were forever ardent and craving; still I desired love and fellowship, and I was still spurned. Was there no injustice in this? Am I to be thought the only criminal, when all humankind sinned against me? Why do you not hate Felix, who drove his friend from his door with contumely? Why do you not execrate the rustic who sought to destroy the saviour of his child? Nay, these are virtuous and immaculate beings! I, the miserable and the abandoned, am an abortion, to be spurned at, and kicked, and trampled on. Even now my blood boils at the recollection of this injustice. Marshall Brown suggests that the sentiments expressed in this speech, intended to be directed at Walton, may extend to the reader as well. In his article, "Frankenstein: A Childs Tale," (http://web.a.ebscohost.com/ehost/detail/detail?sid=e8f7b0dc-662f-4ccc-8ec1-8c2ebfa5d291%40sessionmgr4008&vid=0&hid=4112&bdata=JkF1dGhUeXBlPWlwLHVpZCZzY29wZT1zaXRl#AN=12672272&db=aph) he asserts that Shelley's novel is a monster in itself. He expresses, "Frankenstein, then, is just as horrible as it seems. It plays with our sensibilities, like a child's game from the loser's perspective." That is to say, the reader is made to sympathize with the Creature and know what it feels like to be abandoned and misunderstood. Brown asserts that the Creature can be read as a neglected child-figure. Without proper education, it becomes impossible to fully blame him for his crimes. As Brown puts it, "it invalidates the moral questioning supporting ideological readings. In other books murder and mayhem may be subject to restorative justice or redemptive religion, but Frankenstein has a dark abyss at its core." The Creature's speech may then serve the purpose to call any notions of black-and-white morality that the reader may hold. Considering that Shelley's novel as a whole holds the capacity to unsettle its reader with this same line of questioning, Brown goes on to extend the title of "Monster" to not only the Creature, but the very text itself. I may there discover the wondrous power which attracts the needle and may regulate a thousand celestial observations that require only this voyage to render their seeming eccentricities consistent forever. I shall satiate my ardent curiosity with the sight of a part of the world never before visited, and may tread a land never before imprinted by the foot of man. These are my enticements, and they are sufficient to conquer all fear of danger or death and to induce me to commence this laborious voyage with the joy a child feels when he embarks in a little boat, with his holiday mates, on an expedition of discovery up his native river. Claudia Rozas Gomez addresses this passage in her article, "Strangers and Orphans: Knowledge and mutuality in Mary Shelley's Frankenstein." (http://web.b.ebscohost.com/ehost/pdfviewer/pdfviewer?sid=93864b1c-c2de-488e-9f82-3e3ebeb47ee9%40sessionmgr107&vid=1&hid=125) In the article, Gomez compares this sentiments to Victor's, the connection being that they both view knowledge in over-simplified terms in which, "the role of the learner is to obtain the knowledge or make the discovery, and then pass it on to others. It is not to engage or reflect critically in any way. Neither Victor nor Walton considers any negative outcomes of their respective quests. There is no expectation that the outcome could be anything other than what they have imagined it to be." Not considering the ramifications of his scientific accomplishment led Victor to create a monster. Considering Walton and Victor's similar goals of advancement and discovery, it could be asserted that there would've been comparable ramifications were Walton to have continued his journey and succeeded. Victor's aborted second creature can then be seen as a strong parallel to Walton's aborted journey. The almost mythological treatment of the sea-route Walton seeks substantiates his sister's worries. In the time that Frankenstein is set, the fact that it remains undiscovered despite recorded attempts which Walton read in his youth mean that this journey might be seen as a fool's quest. But it is even so; the fallen angel becomes a malignant devil. Yet even that enemy of God and man had friends and associates in his desolation; I am alone. More references to Christianity. Above all, the creature fears isolation, where even in hell the damned suffer enmasse. Once I falsely hoped to meet with beings who, pardoning my outward form, would love me for the excellent qualities which I was capable of unfolding. The creature's sentiments parallel Walton's inability to find a friend. During these last days I have been occupied in examining my past conduct; nor do I find it blamable. In a fit of enthusiastic madness I created a rational creature and was bound towards him to assure, as far as was in my power, his happiness and well-being. Frankenstein recognizes the responsibility he held towards his creature. I hesitated before I answered, when Frankenstein, who had at first been silent, and indeed appeared hardly to have force enough to attend, now roused himself; his eyes sparkled, and his cheeks flushed with momentary vigour. Turning towards the men, he said, "What do you mean? What do you demand of your captain? Are you, then, so easily turned from your design? Did you not call this a glorious expedition? Despite his own ruin, Frankenstein still urges others to take his perilous journey. Even where the affections are not strongly moved by any superior excellence, the companions of our childhood always possess a certain power over our minds which hardly any later friend can obtain. They know our infantine dispositions, which, however they may be afterwards modified, are never eradicated; and they can judge of our actions with more certain conclusions as to the integrity of our motives. A sister or a brother can never, unless indeed such symptoms have been shown early, suspect the other of fraud or false dealing, when another friend, however strongly he may be attached, may, in spite of himself, be contemplated with suspicion. This mention of how important family is recalls that Walton is writing these letters to his own sister. like the archangel who aspired to omnipotence, I am chained in an eternal hell. Archangel is also the name of the place where Walton disembarked. Further, this is likely a reference to Lucifer as depicted in Milton's Paradise Lost, a known influence on Shelley's work. He seems to feel his own worth and the greatness of his fall. The mention of a fall alongside earlier references to Christianity make this another likely reference to man's fall. Sometimes I endeavoured to gain from Frankenstein the particulars of his creature's formation, but on this point he was impenetrable. "Are you mad, my friend?" said he. "Or whither does your senseless curiosity lead you? Despite full knowledge of where this kind of information can cause, Walton's curiosity causes him to seek it out. The mention of knowledge and serpents is likely a reference to the story of man's fall. I spoke of my desire of finding a friend, of my thirst for a more intimate sympathy with a fellow mind than had ever fallen to my lot, and expressed my conviction that a man could boast of little happiness who did not enjoy this blessing. "I agree with you," replied the stranger; "we are unfashioned creatures, but half made up, if one wiser, better, dearer than ourselves—such a friend ought to be—do not lend his aid to perfectionate our weak and faulty natures. This is another comment on the social nature of humans. Both Walton and Frankenstein agree that people need companionship to exist. One man's life or death were but a small price to pay for the acquirement of the knowledge which I sought, for the dominion I should acquire and transmit over the elemental foes of our race. As I spoke, a dark gloom spread over my listener's countenance. Because Frankenstein understands Walton's motivation, the parallels between their journeys bring back the grief that he endured all this time. He entered attentively into all my arguments in favour of my eventual success and into every minute detail of the measures I had taken to secure it. Frankenstein is able to connect with Walton on the nature of his ambition. Frankenstein's behavior expresses all of Walton's previously alluded values: life that borders on wildness while still showing a sensitivity to empathy and kindness. The place that Walton disembarks from, Archangel, is named after an angel. There is something at work in my soul which I do not understand. I am practically industrious—painstaking, a workman to execute with perseverance and labour—but besides this there is a love for the marvellous, a belief in the marvellous, intertwined in all my projects, which hurries me out of the common pathways of men, even to the wild sea and unvisited regions I am about to explore. Walton's drive mirrors that of Frankenstein's in that they both seek something invisible in the shrouds of what could potentially be amazing or terrible or both at the same time. Walton attributes some of his incompatibilities with the crew to feminine influences, although he doesn't seem to regret it. He is an Englishman, and in the midst of national and professional prejudices, unsoftened by cultivation, retains some of the noblest endowments of humanity. Walton values nobility and humanity. But it is a still greater evil to me that I am self-educated: for the first fourteen years of my life I ran wild on a common and read nothing but our Uncle Thomas' books of voyages. At that age I became acquainted with the celebrated poets of our own country; but it was only when it had ceased to be in my power to derive its most important benefits from such a conviction that I perceived the necessity of becoming acquainted with more languages than that of my native country. Now I am twenty-eight and am in reality more illiterate than many schoolboys of fifteen. Walton's self-education and alienation from society mirror the creature's experiences. Both learned of the world through text and are at-odds when it comes to social interaction. Frankenstein is commonly classified as a romantic piece, so it makes sense that we experience the story through the lens of someone who shares these sentiments. Walton's fear of loneliness echoes sentiments later expressed by Frankenstein's creature. Whether he encounters success or failure, the absence of a companion to share those moments with fills him with grief. Both St. Petersburgh and Archangel are cities named with reference to figures in Christianity. Although Walton's words are steeped in emotional attachment, this line proves that he has taken logical steps towards his goals. you cannot contest the inestimable benefit which I shall confer on all mankind, to the last generation, by discovering a passage near the pole to those countries, to reach which at present so many months are requisite; or by ascertaining the secret of the magnet, which, if at all possible, can only be effected by an undertaking such as mine. This passage clarifies Walton's motivations. His goals are not purely self-motivated as he references, "the inestimable benefit which I shall confer on all mankind." Further, by bringing up future generations, he make the implication that any success he experiences here would have a lasting effect. Re-Edit: Brooke Lawrence is Co-claiming this. P.S. This is Jon aka the weirdo student who decided to be creative with his username. Modern men go to fairs and try to win prizes for their wives. Procop tried to win St. Agnes for his. 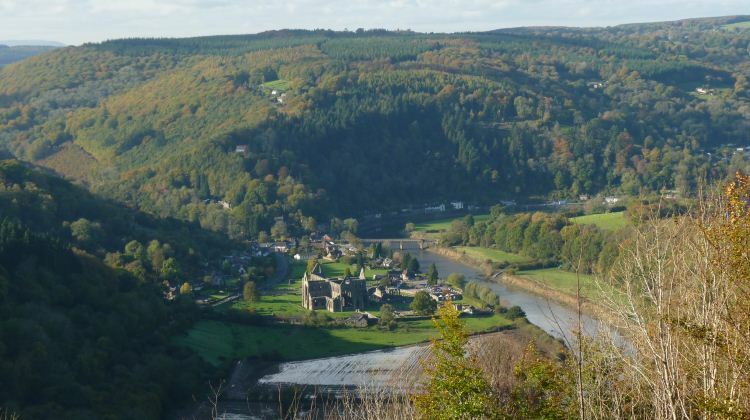 Pictured is an aerial view of Tintern Abbey. Consistent with Wordsworth's observation, the site is surrounded by forested hills, isolating the location from the outside world. It's likely that this aspect of the Wye is what fueled the introspective current that runs throughout this piece. Surrounded predominately by foliage, It's possible that Wordsworth had no choice but to create inner-dialogue in order to make sense of his thoughts. This excerpt provides insight into Wordsworth's fascination with nature. Established earlier in the piece, nature offered him an escape during his youth. This was followed by clarity during his maturation. Here, we can gather a explanation of the circumstances that allowed both of these gifts to transfer. Its "quietness" offers something that people cannot. In nature, there's no "lofty thoughts," "evil tongues," "rash judgments," or "sneers of selfish men." Although kindness is also absent, this indifference allows one to act and think how they want without fear of punishment or perversion of reward. In nature, the only actions you're capable of are ones that you're intrinsically predisposed of. In short, you can be who you truly are. Here, we are shown the evolution of Wordsworth's earlier mindset of someone who thinks only of, "flying from something he dreads." No longer an aimless youth, he finds clarity in the nature that once only served as an escape. This sentiment is felt so deeply that Wordsworth possibly experiences it in a religious sense. Later in the piece, he references "a presence" which seems to run through all aspects of creation. This philosophy has similarities with Unitarianism, a christian movement of Wordsworth's time which commonly held the belief that everything in existence carries within a spiritual essence, thus connecting all aspects of life. 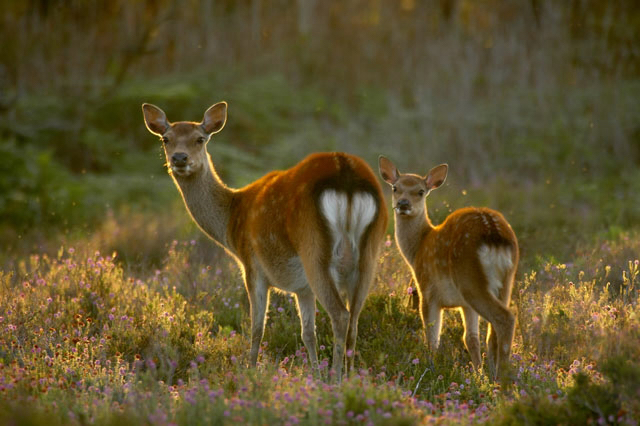 Commonly used when referring to fish eggs, it's possible that Wordsworth's use of "roe" refers to the roe deer, a member of Wales' native fauna. This is supported by mentions of "bounding . . . by the sides of the deep rivers," rather than within their stream. Further evidence can be found in Wordsworth's reference of "a man flying from what he dreads." This behavior mirrors the skittish nature which is typical of deer. From this comparison, it can be deduced that Wordsworth's actions were in line with a roe deer in that his aim was simply to survive. Where he wound up made no difference. The meaning of "cataract" when used here is different from its more prevalent, contemporary usage. Here, the word refers to a waterfall with the connotation of a downpour. Its reference to rushing water pre-dates the name of the disease which it's now associated with. One explanation for this association could be that the eye condition resembles the cloudiness of rushing water. Another explanation refers to early Persian terminology for the ailment: "nazul-i-ah" which translates to "descent of water." 61How learn ye, while the cold waves boom 62Your deep and ouzy couch above, 63The time when flowers of promise bloom, 64And call you from your transient tomb, 65To light, and life, and love? These lines serve as a diplomatic response to his theory that the material world is actually a lesser version of the one which precedes existence. Prior to this, he asserts that something of value has been lost, "Wither is fled the visionary gleam? Where is it now, the glory and the dream?" (Lines 56-57.) Instead of lamenting this loss however, the speaker finds comfort in the fact that intimations of the celestial world still exist, "We will grieve not, rather find Strength in what remains behind." Where someone else might mourn that loss, the speaker instead chooses to stay optimistic. These lines can be identified as the poem's thesis. Stated plainly, the speaker claims that birth is a condensation of "celestial light" (Line 4) into flesh. The connection to said light can be drawn when he says, "The Soul that rises with us, our life's Star" (Line 59.) Furthermore, this mention of "forgetting" ties in with the title of the poem, "Intimations of Immortality," where as intimation can be defined as a hint or indication of something. Sleep in the tomb of chaos? fancy droops, [Page 137] And thought astonish'd stops her bold career. But oh thou mighty mind! These capacities are tagged: fancy, thought, and mind. Where the monotony of empty space turns fancy away and the sheer scope of all creation is enough to leave thought in shock, mind has a innate need to observe all that it's capable of. The implication can be interpreted as humanity's need to explore despite any resulting triviality or insurmountability.